Happy Monday! Are you ready for the start of a new week? I'm not sure if I am, it has been a great weekend of archery and stamping. At least this Monday there is another amazing Monday Montage hop to inspire all of us! 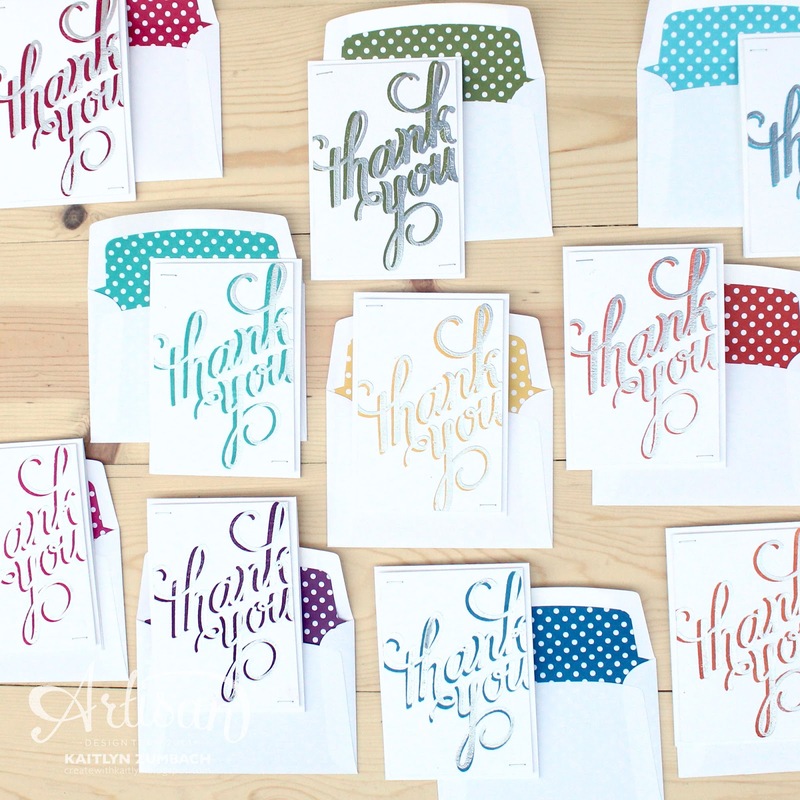 The project I have to share with you today are some simple, but impactful, thank you cards. Isn't it just stunning? 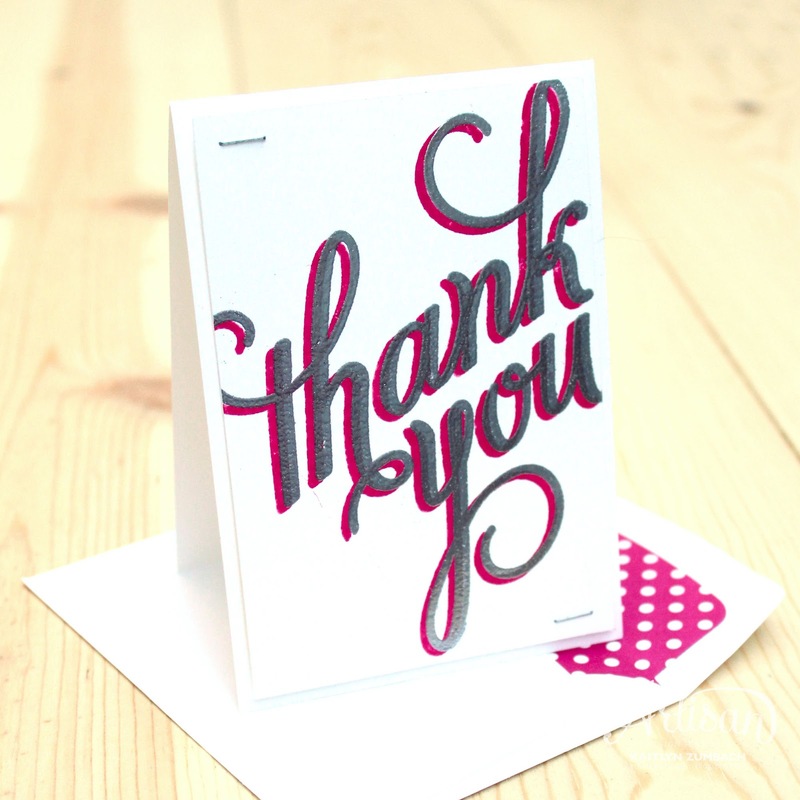 That "thank you" from the Another Thank You Set nicely fills up the front of a note card. (I had some extra envelopes, but no note cards, so I made mine my cards open vertically.) To achieve this look stamp the colored "thank you" first and then emboss the silver thank you over top of it. Just make sure to slightly off-set the top "thank you" to get that shadow effect. 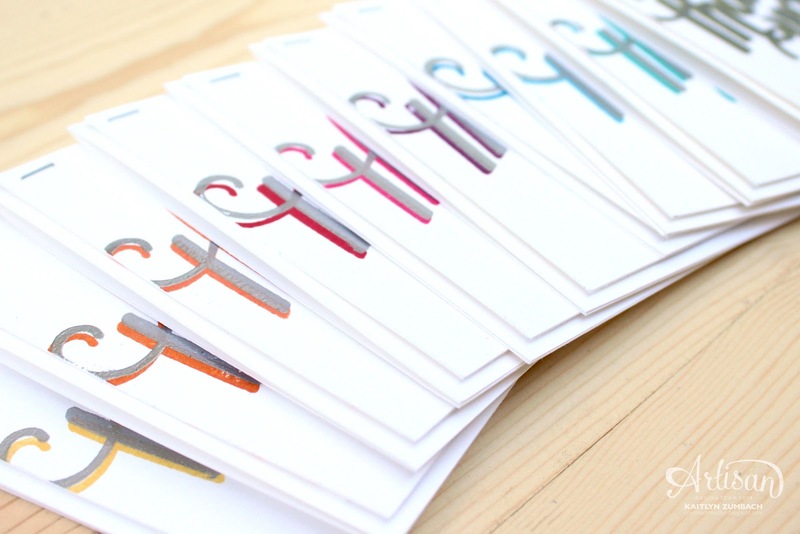 This is such an easy and fun card to make, I went ahead and made one for each of the colors in the Brights Collection. The matching envelope liners really completes the project. Plus, those polka dots are super fun! I think my favorites are the Melon Mambo and Bermuda Bay cards. Which ones are your favorite? As always, see more great projects by using the buttons below to go on to Melissa's blog or back to Julie's.